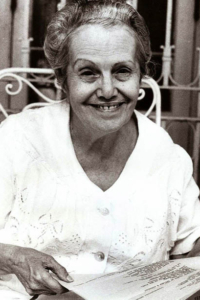 Dulce María Loynaz (1902—1997) is a Cuban poet and novelist, who published her first poetry collection in 1938. After the Cuban Revolution (1959) she refused to join the communist party. Even though the Castro government had her books removed from libraries and ensured that she was not published, she did not go into exile, but lived quietly in Havana. In 1992 when she received Spain's greatest literary honour — The Cervantes Prize — her work was once again permitted publication in Cuba. The following poem was translated by James O'Connor. longer than my own eyes? enough or I have much more than I need? scaling the high peak of your silence? road if You are the Way, the Truth and the Life?